By the virtue of being an international city and buzzing with activities around the year, Dubai’s Real Estate market has something for everyone. 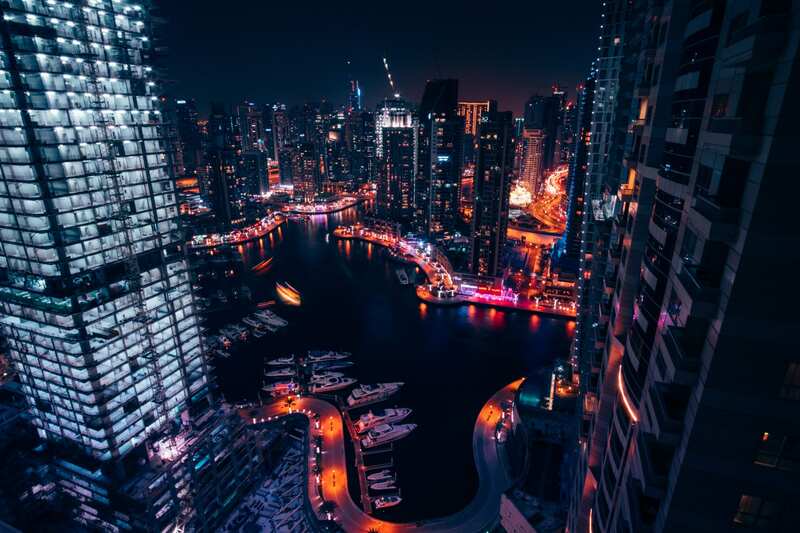 While many property experts claim that, though housing costs are getting cheaper in Dubai, many low-income earners are paying more than their entire year’s salary for house rent. However, all residential areas are not the same. Therefore, it is important to know which areas can be best suited to your budget and requirements. To bring things into perspective, a basic one-bedroom apartment in JBR (Jumeirah Beach Residence) shall cost around Dh 100,000. This is because it is a popular location with proximity to the beach and easy access to the Dubai Metro. On the other hand, in IMPZ (International Media Production Zone) you can rent a similar sized apartment for nearly half the price. In Dubai, there is a marked difference in rents between freehold and non-freehold properties. Usually, non-freehold properties are the cheapest places to rent in Dubai. If you look at the average rents in areas like Al Quasis, Al Quoz, and Al Awir, the minimum rent would be around Dh 20,000. On the other hand, if you look at properties in freehold areas like International City and Gardens, Dubai Investment Park, etc., the minimum rent would be between Dh 25,000 to Dh35,000. The Dubai Residential Property Rental Price Index fell from 82.8 to 82.2 in August 2018 – September 2018 with a decrease of 0.6 points or 0.77%. The year-on-year comparison also showed a decrease of 9.78% as compared to the prices in September last year. Apartment rent prices are also decreased in September. The decrease was 0.84% as compared to August 2018 and 9.98% as compared to September 2017. Villa rent prices too are decreased. As compared to August 2018, the decrease was of 0.28%. On the other hand, as compared to September 2017, the decrease was 7.94%. Also, with new units being completed every month, there is always a possibility of finding a great deal. According to the Dubai RERA Rental Price Index, let’s look at the cheapest places to rent in Dubai. Dubai Investments Park (DIP) 25,000 – 35,000 Spread across an area of around 2,300 hectares, it offers world-class amenities and infrastructure to industrial, commercial and residential properties. It is located minutes away from the International Airport at Jebel Ali and has easy access from the Emirates Road, Sheikh Zayed Road, and the Sheikh Mohammed Bin Zayed Road. Dubai International City 30,000 – 36,000 Spread across an area of 800 hectares, it has country-themed structures for residence, business, and tourism. It is located in the Al-Warsan region of Dubai. Further, the International Airport is merely 9 km away. The Gardens 34,000 – 42,000 The Gardens is located next to Jebel Ali and with close proximity to the Ibn Battuta Mall. It comprises of 129 low-rise buildings and offers both apartments and villas. The complex includes landscaped gardens, playgrounds, basketball and tennis courts, swimming pools and patrolling security. International Media Production Zone (IMPZ) 35,000 – 43,000 Also known as Dubai Production City (DPC), spreads over an area of around 400 hectares (43,000,000 square feet). It is on the Sheikh Mohammed Bin Zayed Road and is close to the Jumeirah Village, Jumeirah Golf Estates, and the Dubai Sports City. It is a holistic community offering retail, business, and residential lifestyle. Discovery Gardens 38,000 – 46,000 This is an exceptional residential community in Jebel Ali and consists of six districts, each having its own theme and character. It is a 6 kilometer-long stretch with nearly 260,000 apartments. It is located close to the Ibn Battuta Mall and the Dubai Marina. Further, there are landscaped gardens, cycling and jogging tracks, community swimming pools, basketball, and volleyball courts to help you stay fit. Dubai Silicon Oasis (DSO) 38,000 – 46,000 The planned community of DSO is spread across 7.2 million square meters with a wide range of residential and lifestyle facilities and offers both apartments and villas. It is located 15 minutes away from the Dubai International Airport and 20 minutes from the Sheikh Zayed Road (considering average traffic). The nearest metro station is in Al Rashidiya, around 15 minutes away. Dubai Sports City (DSC) 42,000 – 52,000 The DSC is an embodiment of the passion of sport. It is spread across an area of 50 million square feet and offers residential, retail, commercial, and sports facilities. It is developed along the Sheikh Mohammed Bin Zayed road corridor. Further, it is located close to the Al Maktoum International Airport. Jumeirah Village Circle (JVC) 43,000 – 53,000 JVC is known for being a residential hub offering apartments, townhouses, and villas. It offers around 2,000 housing units and is located at a distance of around 30 minutes from the Dubai International Airport (drive via the Al Khail road), 25 minutes from Downtown Dubai (drive via Sheikh Zayed road), and 20 minutes away from the Internet City, Dubai Media City, and the Dubai Marina. Remember, even though these areas are the cheapest places to live in Dubai, finding the right apartment requires a lot of research and negotiation. We hope that these lists can provide you with some guidance in your property search. Good Luck!